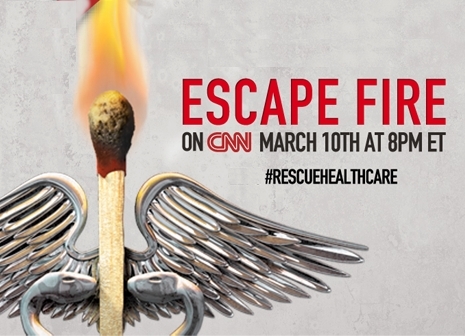 ESCAPE FIRE re-airs on CNN on March 16th at 8:00pm ET. It will re-air at 11pm & 2am ET. … aside from the white-hot question of how we pay for medical care, there is no avoiding the cold reality that Americans exorbitantly overpay. 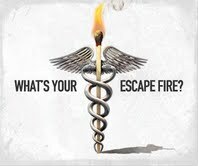 Stripping away the hysteria that has hijacked our discussion of this problem was the task facing two filmmakers, Matthew Heineman and Susan Froemke, whose superb documentary Escape Fire, re-airs Saturday March 16 on CNN (8pm and repeated 11pm & 2 am ET).